June saw me heading to Mull for a couple of days late in the month, to assist Andy Howard with a group of clients he'd taken there, and rather than return home after, I accepted a kind invitation from Andy to spend a week in the Highlands, before we would both return to Mull for the 3 photography tours planned. As a thank you for my help, I was treated to a session in the Rothiemurchus Osprey Hide one morning, and my has it changed since I was last there. The pool is tiny compared to the previous lake-based set-up, and has hides around most sides, all sunk down, so you're at water-level for the images. It was a beautiful morning, and while we had a long wait before one arrived, when it did, the sight was breathtaking. 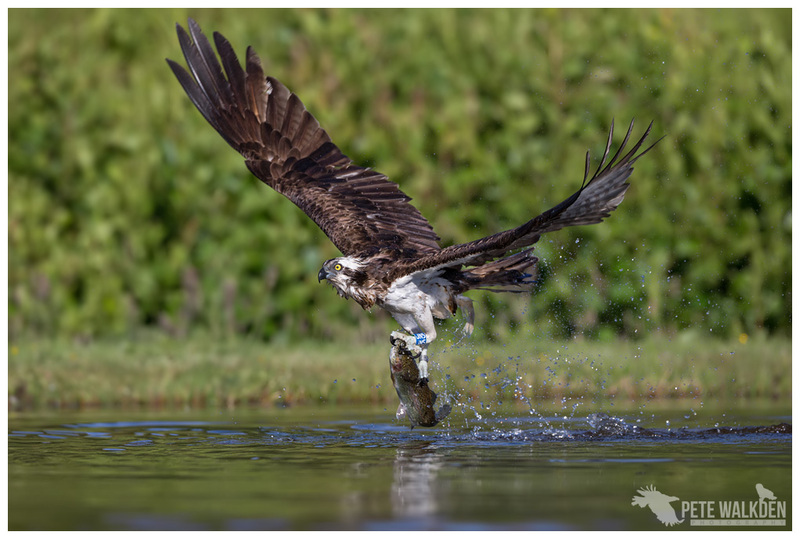 As I was using my UniqBall tripod head, the water was level on the shot, and this image, one of a series taken as the osprey lifted out of the water, and carried the fish away, was one of my favourites, and is uncropped. My last visit was many years ago with a Canon 50D I think, so to get images like this, with the clarity provided by the 1DX was something special. This along with more from the session will be available to purchase from the Online Shop soon.